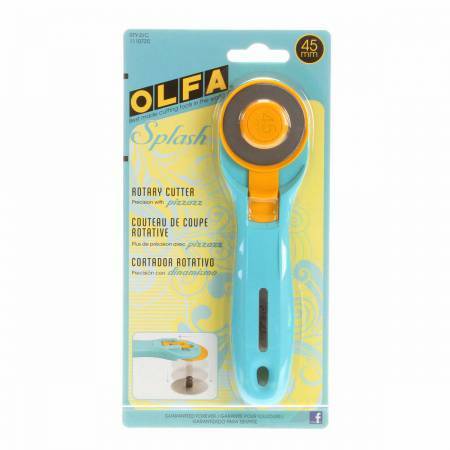 Add some pizzazz to your rotary cutting selection! Contouredhandle allows for comfortable cutting. Quick blade change.Integrated grooves at the head of the cutter help preventfinger slippage. Blade cover for additional safety.One blade included. Accepts all OLFA 45mm blades.